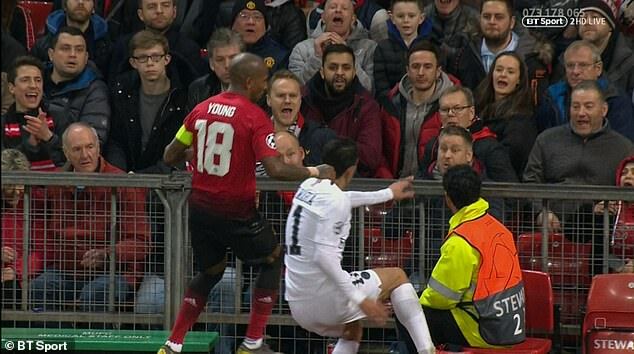 Should Manchester United captain Ashley Young have been sent off for his shove on Angel Di Maria? 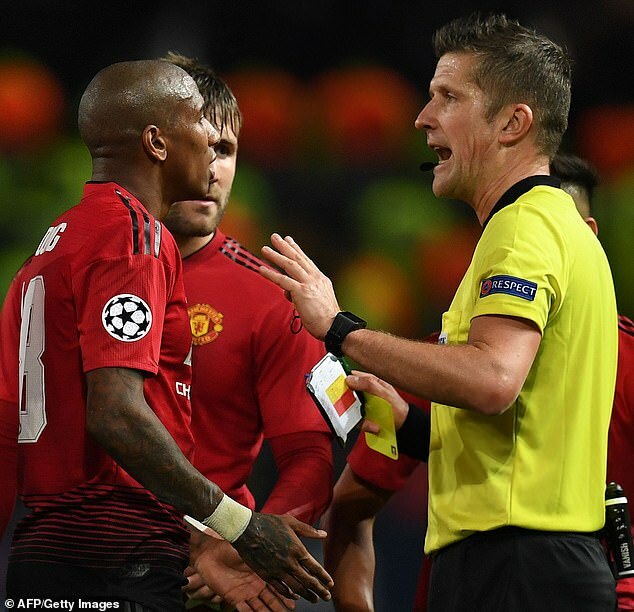 Manchester United finished their Champions League clash against Paris Saint-Germain with ten men on Tuesday night after talisman Paul Pogba was sent off for a second bookable offence. But United could easily have been a man down in the first half. 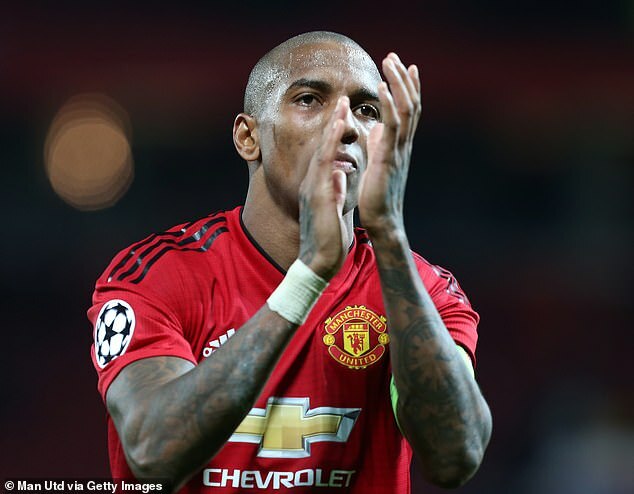 Having earlier chopped down Kylian Mbappe during a PSG counter-attack, captain Ashley Young avoided a second yellow card after shoving former United man Angel Di Maria off the pitch. Should Italian referee Daniele Orsato have sent him off? Sportsmail experts CHRIS SUTTON and MARK CLATTENBURG give their verdicts on the contentious decision. 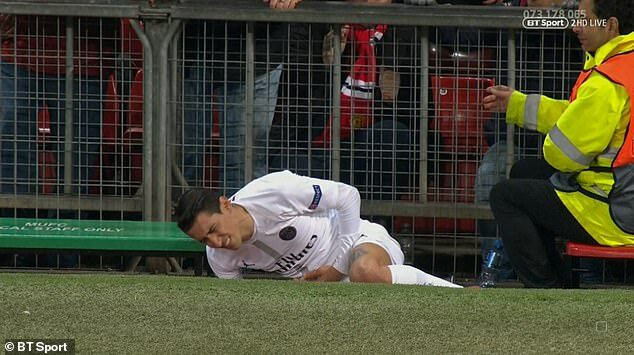 That was a nasty, cynical challenge from Ashley Young on Angel Di Maria. He can count himself fortunate not to have been sent off last night. Shoulder-to-shoulder challenges may be allowed but when Young made contact, the ball had gone. There was no way either player was going to win it. Young knows that the touchline at Old Trafford slopes away and could have injured his opponent. There was nothing to be gained in this situation. Already on a yellow card, Young risked getting sent off — reducing his team to 10 men on a night when they struggled with a full complement on the pitch. I would expect better from such an experienced player. 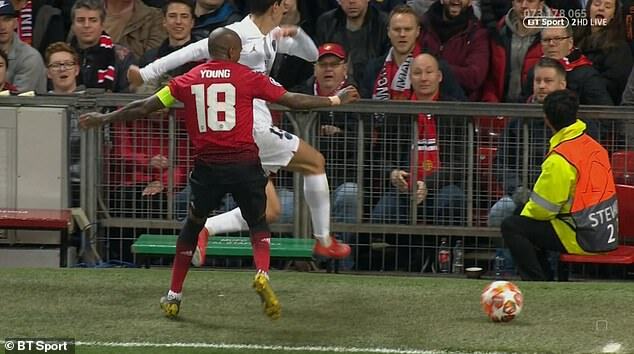 Referee Daniele Orsato got it right — Young’s challenge on Di Maria did not warrant a second yellow card. The slope at the side of the Old Trafford pitch made it look far worse than it was. 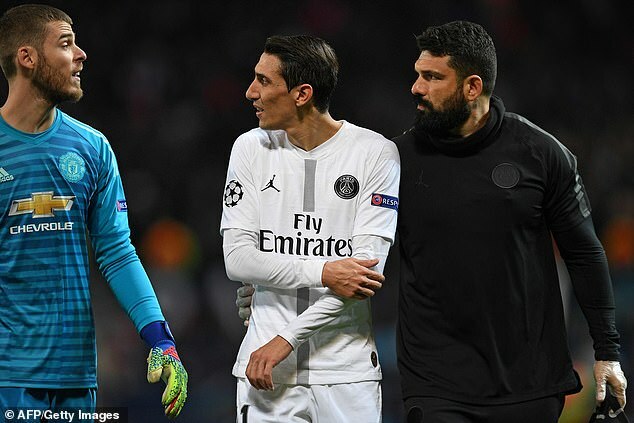 Had this match been played on a pitch surrounded by an athletics track, for example, the coming together between Young and Di Maria would have looked like an innocuous shoulder-to-shoulder challenge. Although VAR was in action last night, Orsato was not able to review this incident as second yellow cards cannot be checked. The referee got this call right — but got it wrong when sending off Paul Pogba at the end. The challenge was not a reckless foul and did not warrant a second yellow.